At the YMCA-YWCA of Winnipeg we routinely conduct reviews of our program offerings to ensure they meet both the community’s most pressing needs and our charitable purpose in the most effective and broad-reaching way possible. Our Women of Distinction awards program is currently under review and therefore we will not be holding the event during our traditional May time frame. We anticipate relaunching the program in the Fall of 2019. More details to follow. 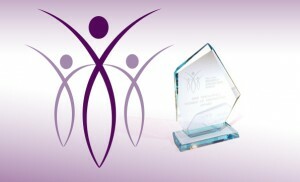 The YMCA-YWCA Women of Distinction Awards Gala is a celebration of the talent, achievement, imagination and innovation of Manitoba women who have made a unique and exemplary contribution to the development of others and to their community. Help us recognize the ongoing efforts, dedication and leadership of the strong, talented and selfless women who help shape our society. For more information, please call Women of Distinction or email us! Designed by Hilary Druxman exclusively for the YMCA-YWCA of Winnipeg! Enscribed with “she flies by her own wings”, this sterling silver pendant with 18″ chain is a tribute to the devotion, vision and pioneering spirit of Manitoban women whose transformative work enrich our lives. Purchase your necklace today! Funds raised through the sale of this necklace directly impact the lives of women, youth and children in our city. With your purchase you are helping the YMCA-YWCA provide resources that bring tremendous societal benefits such as reducing isolation and building connections with the greater community; creating awareness about violence prevention; and improving self-esteem in young women.